Leaving any controlling system is messy. But for many of us, getting out of a totalistic household required a literal escape, when guardians were away or with a large group of supportive friends. Independence was discouraged. Freedom required a personal revolution. Many of you have read the UnBoxing Project series recently crossposted on Homeschoolers Anonymous. The UnBoxing Project is the network Cynthia Jeub and I formed after we both left our dysfunctional households. Since 2012, we’ve helped nine friends find new lives outside their cages. But this isn’t just about our little group of friends in Colorado Springs. We’ve realized that we’re part of something much bigger. Informal networks like ours have formed in other states in other homeschool communities. For our next open series, Homeschoolers Anonymous invites homeschool alumni to share their stories about leaving cults and controlling households. Most of us never believed our own parents would bar our attempts to grow up and find freedom by emptying bank accounts, withholding identifying documentation, or taking away our means of transportation. Others were stalked by parents or fellow church members after leaving. Some were kicked out by their parents because they wouldn’t comply with unreasonable demands. We would like to hear your story. As always, you can contribute anonymously or publicly. Please let us know your preference when you contact us. 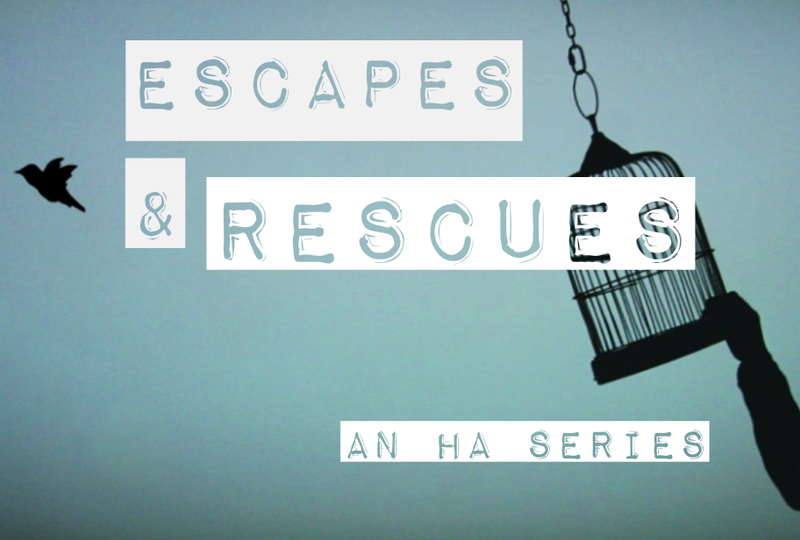 If you are interested in participating in this series, please email us at HA.EdTeam@gmail.com. Please put “Escapes and Rescues” as the title of the email. I was homeschooled my entire life. When it came time to graduate, I remember the homeschooler parents at the fundamentalist church I was brought up in organizing a homeschooler graduation. We were lined up in dress and gown and paraded as the new hope of the generation, a complete embarrassment. I felt utterly unprepared socially for interacting with people my age who weren’t raised in a bubble. I was afraid of women unless somehow they interacted with me at a level that felt comfortable (aka issues with narcissistic mother). My parents forced me to go to bible school. What a nightmare. Then basically pressured me into the military which that fell through as well. Ultimately I became a centrist liberal, pot smoking, anti evangelical. My theological beliefs these days are hard to say. I do believe I am becoming more orthodox in my beliefs. I realized that Dispensationalism and the Rapture are total #!. All you have to do is read about the crazy stupid John Nelson Darby. Calvin and Luther were wrong as well people. Growing up I was told that all the catholics were going to hell! How crazy! Now I am a rather depressed individual who married too young and no idea what to do in life but go back to grad school and try to get some more education. I hardly speak to my folks these days and live a pretty chilled out existence these days in the Pac Northwest. Homeschooling hurts children. It doesn’t create well rounded adults. Hey, thanks for sharing that experience, Lucas. I can relate to some it but have to add that not all homeschool is done in isolation. My kids were sort of homeschooled but more unschooled and they had more genuine social experience doing things that way. We would listen to their interests in learning and then try to find others in our area who shared interests. Worked pretty well. Not all homeschoolers are extreme in religion like our parents were! The 16th is a Monday? One good source for stories of this kind from Pentecostals of various kinds, Four Square and Calvary Chapel, Assembly of God, IFB, of course. Within most of these groups you will find many who have those long dresses and all the other sorry stuff. It’s all about control, and what they believe is God-sanctioned cruelty. Storefront churches are notorious for this kind of malarkey. Apostolic Lighthouse of Northern California is a common legalistic, Quiver full-style denomination up there. These churches are a dime a dozen up there and in the Southern States. Many Southerners migrated up North because it was a reminder of home. Sadly, so many in those scary pews don’t know that they CAN and should be rescued, because trying to look for a way out is considered a major sin, and the pastors will proclaim that “God will kill you if you are thinking of leaving, and attempt to do that!” It happens a lot. I think if one can afford an ad in local papers, or in a free weekly, where there is a blog list along with an explanation of underground railroads for would be escapees, that may work. And it seems I missed the deadline. I am from a Pentecostal/church of God/ mega church homeschooling groups up bringing. My underground railroad was shockingly a horse forum and a friend from it who offered me a place to live after I told her what was going on. I will be forever grateful for her and her husband, and my way out. You are still welcome to contribute your story if you’d like!